Based in San Mateo, California, BontQ develops software for managing software project development. BontQ’s self-titled flagship software is an application for businesses in need of collaborative tools for bug tracking, and is based completely in the cloud with a Software-as-a-Service (Saas) delivery model. The software went live in 2009, funded entirely by the company’s founders as a demonstration of their belief in and commitment to their bug-tracking and software development project management solution. Andy Zwerdling, company co-founder and spokesperson, explained that the software and company were inspired by his and the other founders’ dissatisfaction with the bug-tracking and project management solutions they’d previously used. Prompted by Zwerdling, the BontQ start-up came to be and BontQ bug and project management software was created. BontQ online project management software comes as a desktop application which captures screenshots and takes video footage in order to aid in issue tracking and bug reporting. While it is best used as a ticketing system, it can still be used for less technical project management. Its integration with other software like Google Docs makes it just as useful in a regular office as it is in the digital sphere. 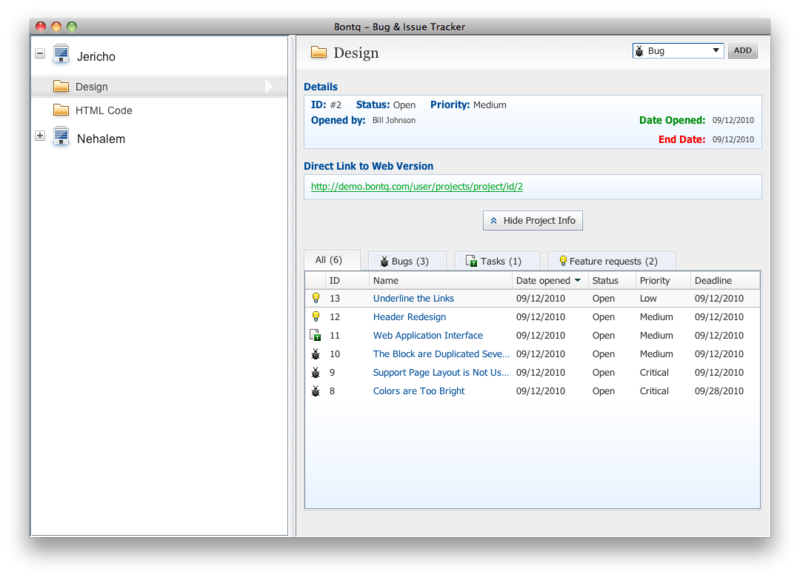 BontQ is a flexible online project management software that allows for migration from other management tools like Fogbugz or Basecamp. Once switching to the BontQ platform, users remark on its ease-of-use and the specificity with which it works. GIT and SVN hosting is automatically included, the comments system allows for start-to-finish issue tracking, and the live team chat allows BontQ users to work together on fixing bugs, addressing customer issues, and managing projects online. Testimonials from SoftArea, TechRepublic, AppAppeal, Bright Hub, Young Upstarts, and other companies all touch on the same issue. Many startups are unable to afford their own bug tracking software and as such, require a plugin or external software to aid in this process. BontQ is an affordable solution to this problem. Compare project management software using our Project Management SmartAdvisor. Learn everything you need to know about BONTQ. Our experts will reach out to you shortly.